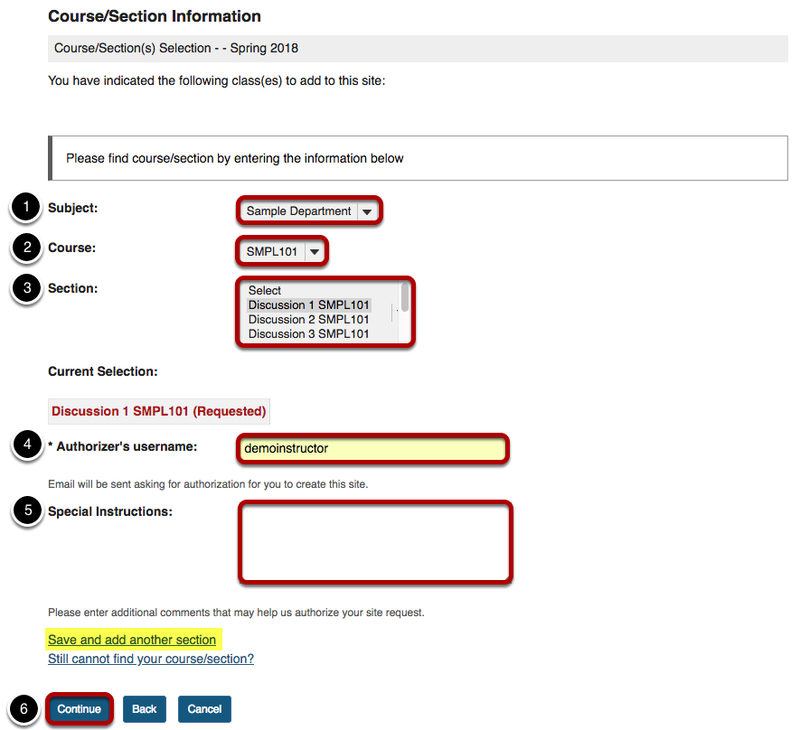 Sakai Guides and DocumentationFaculty Guide Add Participants to a SiteHow do I add a class roster? Click Edit Class Roster(s) from Site Info tabs. Click Add Roster(s) tab at top of tool window. 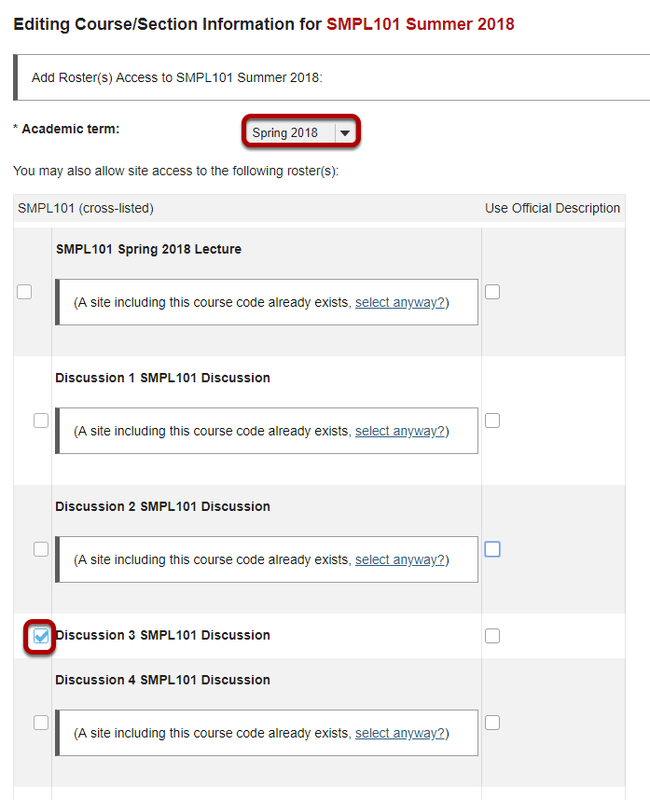 From the Academic Term drop-down menu, select the appropriate academic term. If you are listed as the instructor of record for certain courses in your course catalog, those courses and their sections will be listed. Check the box next to the roster you want to include. Zoom: Course/Section Information Screen with information entry areas highlighted. Review your request and click the Add Class(es) button. Prev: How do I add participants to my site?